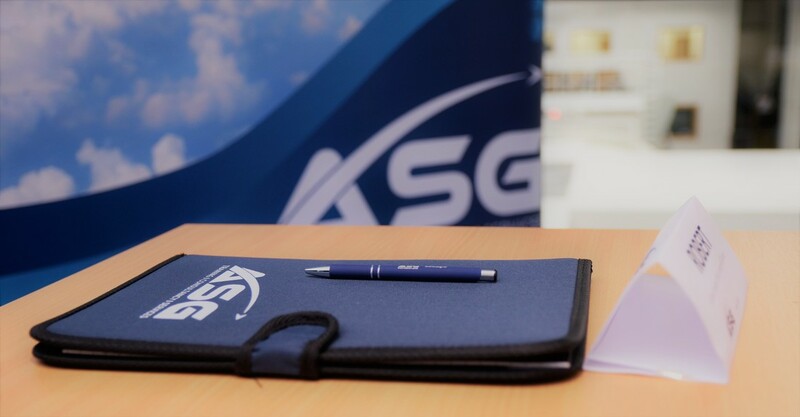 Incorporated in Ireland in 2015, ASG's provides high quality, cost-effective and responsive training, consultancy, and services to the aerospace and defence sectors. ​We are an approved Approved Training Organisation IE.ATO.012 of the European Aviation Safety Agency (EASA) permitted to deliver training for the award of an Airline Transport Pilot Licence (ATPL). ASG’s approach to ATPL training is characterised by providing students with a bespoke, high quality, and personalised training experience.​ We believe in limiting class sizes to ensure the optimum learning environment, providing support to students throughout their ATPL training journey, and delivering the highest standard of theoretical knowledge instruction. ​However, what really differentiates us from most other ATO’s is our instructional team - our ATPL instructors are truly passionate about what they do - each one is chosen for their subject matter expertise and practical industry experience which adds real value to the student experience by bringing the subject to life. They are operational in the aviation industry and include: current airline pilots, type rating instructors, aircraft and avionics technicians, human factors specialists, military pilot instructors, aeronautical engineers, and air traffic controllers. Our team of aerospace consultants have a single overriding philosophy: to provide outstanding technical assistance, training delivery and service provision, coupled with attention to detail and an unparalleled focus on service quality and customer satisfaction. Public and private service providers - Civil and Military Airports, ground handling, air training organisations, and aeronautical information services. Operators - Airlines, AOC holders, cargo, charter, business and general aviation, rotary wing, and military. Investors - Private equity, lenders, venture capitalists and investors in to developing aviation markets, hedge funds, vendor and contract managers, construction industry companies. Governments and governmental agencies - Regulators, national supervisory authorities, regional and airport authorities, airport developers, and air traffic management and air navigation service providers. OEMs and MROs - Manufacturers, Airframe, engine, and component. Students - students interested in completing a training course with us, including ATPL (A) Theory. Please also visit our training, consultancy and services pages, or contact us for further information.